The second half of the twentieth century was a time of explosive expansion in the use of color. All aspects of everyday life were affected by this phenomenon. Post World War II, full-color printing, fabrics dyed with new synthetic dyes, along with color photography and motion pictures aroused our appetite for color. Increased exposure to color began to greatly affect how we perceived and reacted to the world, while fashion, Hollywood, sports, economics, and culture increasingly influenced color trends. Crayola Crayons are universally recognized and loved by children and adults and, in a nutshell, illustrate the changing landscape and influences of color during this century. Binney & Smith first introduced Crayola Crayons in 1903 with a box of eight colors: Black, Brown, Orange, Violet, Blue, Green, Red, and Yellow. For the next 45 years, the color mix and the color names remained unchanged. In 1949, the choices increased six-fold, bringing the total in the box to 48 colors; many of the names for the new crayons were more imaginative than those used for the original eight colors and included thistle, periwinkle, carnation pink, bittersweet, cornflower, melon, salmon, and spring green. The first color name change came in 1958 when the name Prussian Blue was changed to Midnight Blue in response to requests from teachers. In the same year, additional crayons were added, expanding the selection to 64 colors. New colors included Copper, Plum, Lavender, Mulberry, Burnt Orange, Aquamarine, and ten other colors sure to spark creativity in a young mind. In addition to capturing the imagination, it was recognized that color and color names could influence perceptions and therefore needed to be ‘politically correct.’ In 1962, partially in response to the U.S. Civil Rights movement, Binney & Smith chose to change the name Flesh to Peach. In 1999, the name Indian Red, which was originally inspired by a name commonly used in fine-artist oil paint, was changed to Chestnut because educators believed that children would think the name represented the skin color of American Indians rather than the reddish-brown pigment found near India. The fluorescent hues of the 70’s found their way into the Crayola box in 1972 with the addition of eight neon-bright crayons: Chartreuse, Ultra Blue, Ultra Orange, Ultra Red, Hot Magenta, Ultra Green, Ultra Pink, and Ultra Yellow. In 1990, only the name Hot Magenta remained intact and the seven sedate names were replaced by descriptors that shouted color: Atomic Tangerine, Outrageous Orange, Shocking Pink, Blizzard Blue, Laser Lemon, ScreaminÂ’ Green, and Wild Watermelon. Also, eight additional fluorescents were added: Electric Lime, Purple Pizzazz, Razzle Dazzle Rose, Unmellow Yellow, Magic Mint, Radical Red, Sunglow, and Neon Carrot. For the first time in 1990, eight colors were retired and replaced by eight new shades. Retired colors enshrined in the Crayola Hall of Fame included: Green Blue, Orange Red, Orange Yellow, Violet Blue, Maize, Lemon Yellow, Blue Gray and Raw Umber. Stepping into the box to replace them were Cerulean, Vivid Tangerine, Jungle Green, Fuchsia, Dandelion, Teal Blue, Royal Purple, and Wild Strawberry. 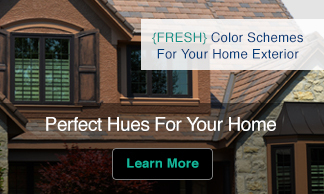 Consumers named 16 new colors in 1993, bringing the total to 96 creativity-inspiring colors. By popular demand, the new colors included Asparagus, Macaroni and Cheese, Razzmatazz, Timber Wolf, Cerise, Mauvelous, Robin’s Egg Blue, Tropical Rain Forest, Denim, Pacific Blue, Shamrock, Tumbleweed, Granny Smith Apple, Purple Mountain’s Majesty, Tickle Me Pink, and Wisteria. In 1998, 24 new colors were added, bringing the total to 120. Names continued to evolve and now included Pink Flamingo, Caribbean Green, Fuzzy Wuzzy Brown, Purple Heart, Banana Mania, Cotton Candy, Manatee, Outer Space, Shadow, Pig Pink, Vivid Violet, and Mountain Meadow. Thistle was retired from the 120-count assortment in 2000 to make room for Indigo and Torch Red was renamed Scarlet. 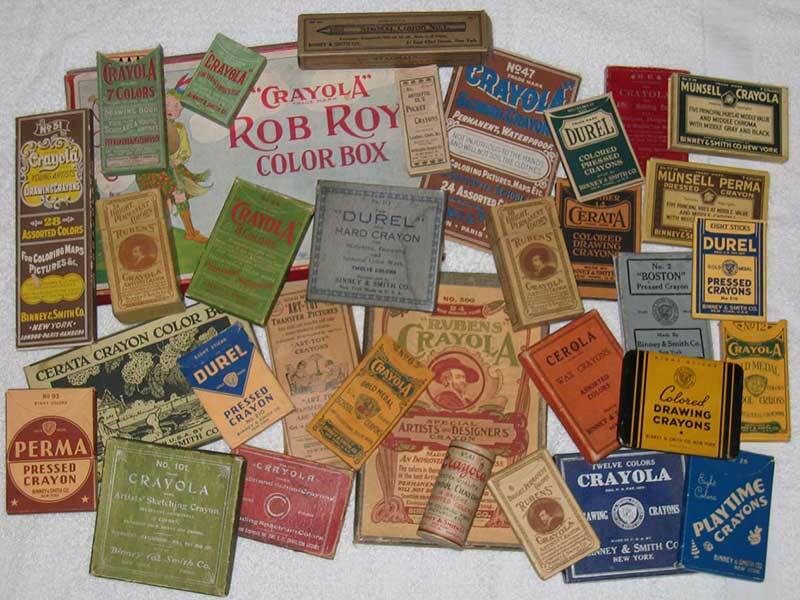 As a new century began to unfold, Crayola marked their 100th birthday by having consumers again name new colors and vote four out of the box. Blizzard Blue, Magic Mint, Mulberry, and Teal Blue made way for Inch Worm, Jazzberry Jam, Mango Tango, and Wild Blue Yonder. 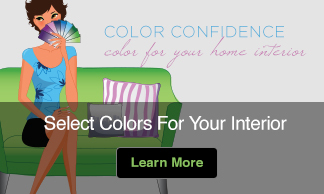 What crayon colors will remain in the box at the end of the twenty-first century is a mystery, but no doubt will reflect the current trends in the ever changing world of color. I love the image you used here–wonderful picture!